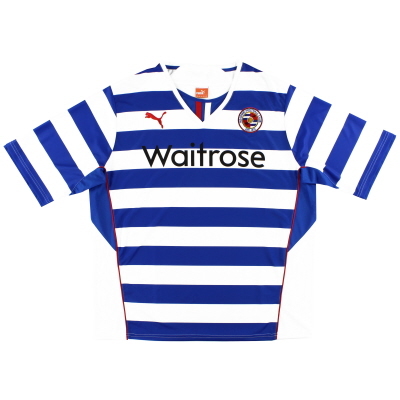 Once a staple of British kit design, in the 21st century hoops are now only worn regularly by a handful of clubs including Reading whose first ever kit featured thin navy and white horizontal bands. 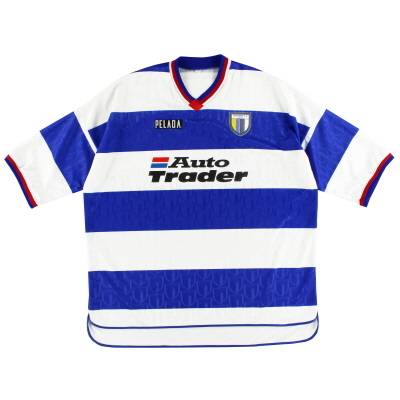 The prestige and pride of wearing this iconic form of sportswear design leads to the two sides most associated with hoops in English football today, Reading and Queens Park Rangers, each referring to the other as ‘the fake hoops’! 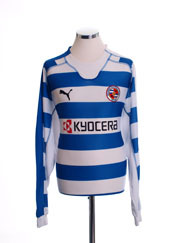 However the first consistent kit to become associated with Reading was actually navy and white vertical stripes in a design that was sported from 1891 until 1938 when royal blue and white hoops then became the order of the day. 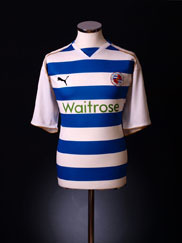 The club have worn hoops consistently since 1992, but prior to that date had discarded their hoops several times over the years, most recently throughout most of the 1980s when other combinations of blue and white were worn. 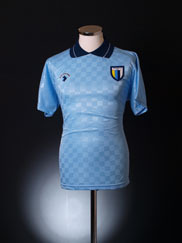 These included an Argentina - like sky blue and white vertical striped shirt, sky blue shirts with navy shorts, a classic Patrick-produced sky blue with broad white band ensemble and an experimental white jersey featuring a fine diagonal wavy navy pattern. 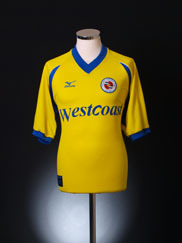 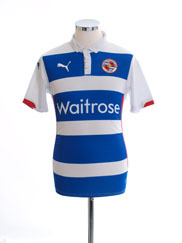 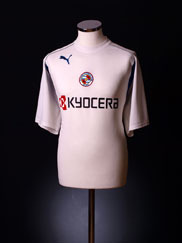 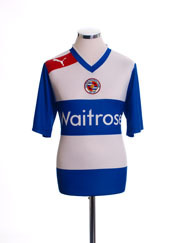 Prior to the 1980s the occasional white kit also appeared in the Reading kitbag. 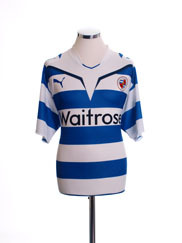 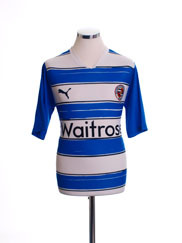 Away from home, yellow or red are the preferred Reading change colours, although in 09-10 a change kit of white and pale green was sported - the corporate colours of the club’s sponsor Waitrose. 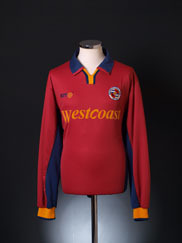 Orange has also been worn from time to time. 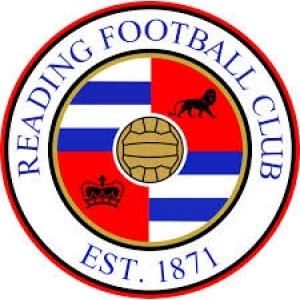 The side’s first sponsor was local paper the Reading Chronicle in 1982 whose patronage of the club was swiftly followed by radio station Radio 210. 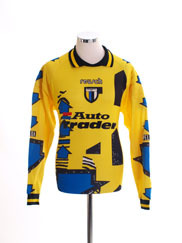 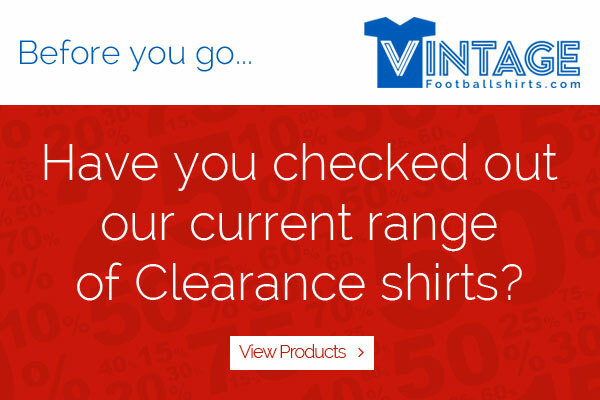 However, the brand names most commonly associated with the club are brewers Courage, who sponsored the side from 1984 to 1990, and car magazine Auto Trader who were featured on the shirts from 1992 to 1999.